Mike practices with Preti Flaherty's Real Estate Group. He has represented clients in all aspects of real estate and land use law, including acquisitions, dispositions, obtaining federal, state and local regulatory approvals; commercial and public financing; title and conveyancing matters. Mike has built a strong timberlands practice representing mills, land management companies and industrial land owners in complex timberlands transactions, including acquisitions, sales, operating agreements, wood supply agreements, underwriting timberland titles, Land Use Planning Commission (LUPC) development compliance and permitting. He routinely appears before municipal planning boards, LUPC and the Department of Environmental Protection to permit residential, commercial and industrial projects. 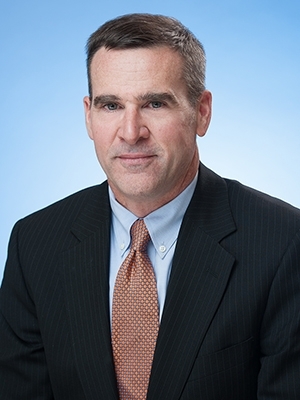 Mike also serves as Vice President and General Counsel to Charter Title Company, LLC, Preti Flaherty's wholly-owned subsidiary, a respected agent for a number of nationally recognized title insurance companies. He has substantial experience in underwriting and negotiating title insurance coverages involving multisite, multimillion dollar commercial transactions, particularly energy, industrial and timberland properties, covering Maine, Massachusetts and New Hampshire.